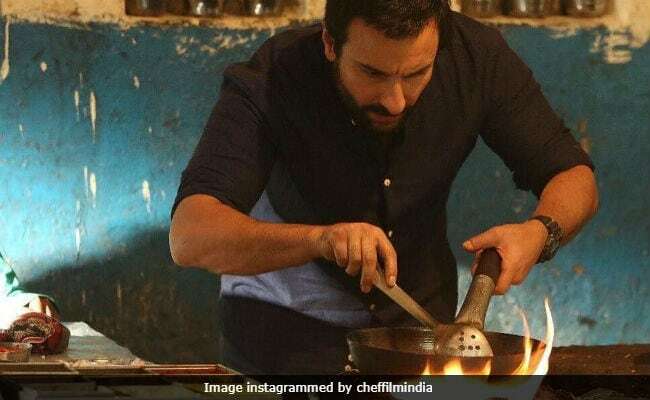 Chef Movie Review: Saif Ali Khan and the actors try hard, but lazy writing and direction make Chef a flavourless and bland meal. Chef is a nothing film. The 2014 film about a food truck selling cuban sandwiches is predictable to the point of having zero plot, but it does function as an interesting vehicle for allegory. Director Jon Favreau, who wrote and starred in the film, had just been let go from the Marvel Cinematic Universe after directing the first two Iron Man movies, and this film - where a successful but mercurial chef left behind formulaic and predictable cooking to go back to basics and make something small with a lot of heart - was a little film Favreau used to tell his own story, and even got superhero stars like Robert Downey Jr and Scarlett Johannson to wink alongside him. 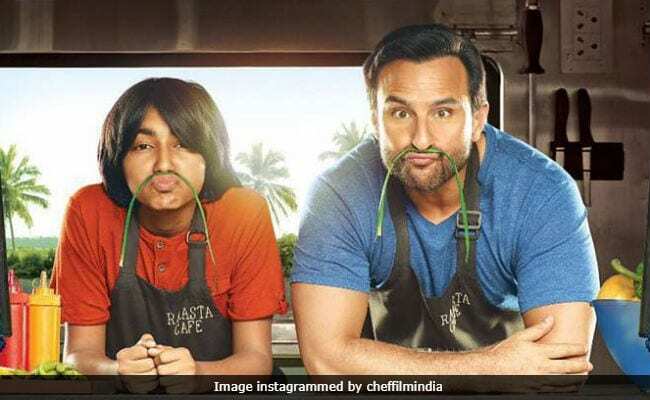 The Hindi remake Chef, directed by Raja Krishna Menon, is free of this Favreau-esque paralleling, though it does go somewhat meta with Saif Ali Khan playing a man who got in trouble for beating up a man in a restaurant, something Khan did a few years ago and evidently regrets, using this film to play responsible dad and tell a young stand-in for his teenage son that he did a bad thing. As a matter of fact, this Chef remake seems all too eager to provide teachable moments, and it does so with all the subtlety of garam masala. Menon's film has decent actors, but the script is painful and the direction clunky, and the overall result far too insipid and flavourless. Khan isn't bad in the film, and, while watching him in his kitchen whites yelling furiously at his staff appears too unrealistic - it all looks very Marco Pierre White-Privilege - the actor has learnt how to handle a knife. He also treats food with delicate reverence, be it covering up a hand-rolled ball of dough with a cloth or gently sliding pasta onto a bowl with his fingers so that it sits just so. It is also good to see Khan playing closer to his age, referring to himself as middle-aged and serving up cringeworthy dad-jokes and puns. He isn't even attempting to be a charmer, which, as women keep trying to tell us, can be rather charming. The film starts with Khan's Roshan Kalra getting fired from his own New York restaurant - the words "three Michelin stars" are frequently bandied about - and he heads to Cochin to spend time with his son and his ex-wife. Played by Padmapriya Janakiraman, this character of a bright-eyed danseuse who knows what she wants and can draw a line around it, is refreshing for Hindi cinema, as is the Kochi background. As the film knowingly comments, Kerala is possibly as alien to a leading man from Chandni Chowk as London, if not more. The film is thus about Kalra, his son Armaan (played by an endearing Svar Kamble) and a food-truck they set up, rediscovering the father's roots and rejuvenating his relationship with his son. There are some nice moments to be found, largely because Khan and Kamble have a fine father-son vibe, and because actors like Chandan Roy Sanyal and Ram Gopal Bajaj can bring authenticity to any project - even when all Bajaj is doing is despondently ripping up a roti. It is also entertaining to see the ineffably handsome Milind Soman as Bijju, the wealthy man in love with Kalra's ex-wife. Janakiraman looks good with Khan, who is, in turn, endearing as he blows on a chutney spoon before giving it to his son for a taste. These are, however, flashes in a mostly unexciting pan. The film shows us a lot of food being prepared but holds no culinary insight or genuinely exciting artistry, and while surrounded by all manner of intriguing Kerala food, the dish Kalra chooses to make and market is basically potatoes/keema stuffed, with cheese, in a couple of rotis. They call it Rotzza, and the first syllable describes the appeal best. The one truly memorable moment in Chef - at least for those of a certain vintage - is when Khan makes a clever reference to a twenty year old buddy film. It's a fine line, and there is something heartening about the fact that Khan looks to finally outgrow his greatest triumph by laughing about it. Chef holds no secret sauce of its own, but perhaps we shouldn't be that surprised. There is only that much you can do with a reheated film.